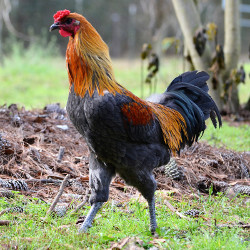 The most unique chicken on the planet! 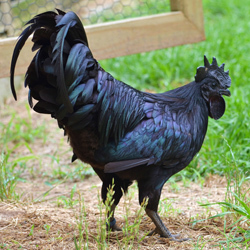 Revered for its striking, all-black appearance, this Indonesian chicken is known for its black feathers, black skin, black comb, black flesh, black organs, and black bones! 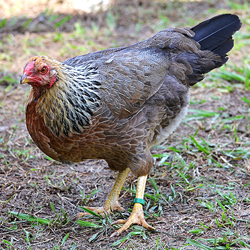 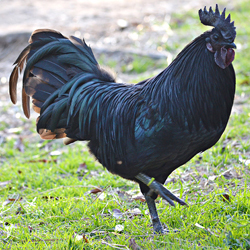 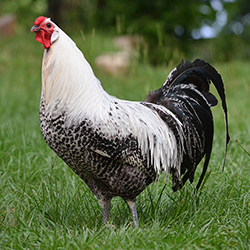 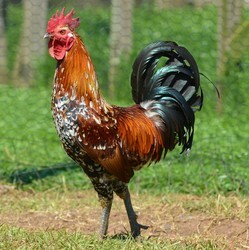 Although this giant, muscular Belgian game fowl has a fierce appearance, Liege Fighters are generally friendly toward people and can be an excellent choice for the dedicated hobbyist willing to explore the extremes of the poultry kingdom. 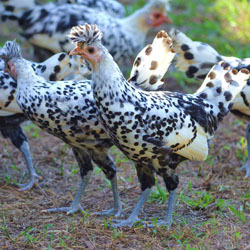 Who doesn't want a chicken that looks like a dalmation with a Mohawk? 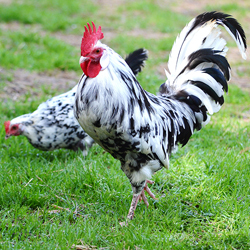 The Appenzeller Spitzhauben is one of our most visually interesting breeds, and Greenfire Farms went all the way to Switzerland to find and import champion bloodlines.